You are here: Home / 2019 / January / Insects are in decline, around the world. How worried should we be? Widely reported studies this year and last led to headlines globally of an ‘insect Armageddon.’ The real story of insects is more nuanced — but probably just as unsettling. This article was originally published on the site of Ensia. When Susan Weller travelled to Ecuador to study tiger moths in the 1980s, she found plenty of insects. A decade later, Weller, now director of the University of Nebraska State Museum, returned to conduct follow-up research. But the moths she was looking for were gone. ‘Just in that time frame, areas I had collected had been transformed. Forests had been taken out. … brand new cities had sprung up. I tried to go back and collect from other historic collecting sites, and those sites no longer existed. They were parking lots,’ she says. Insect populations were far lower in 2011-2013 than in 1976-1977 at surveyed sites in Puerto Rico. Adapted from: Climate-driven declines in arthropod abundance restructure a rainforest food web. Bradford C. Lister, Andres Garcia. Proceedings of the National Academy of Sciences Oct 2018, 201722477; DOI: 10.1073/pnas.1722477115. Click to enlarge. 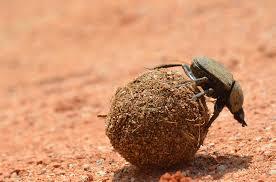 Insects such as the dung beetle play a big role in recycling organic matter. Photo: Wikimedia Commons. Many people tend to think of animals as large, furry, likeable creatures. In reality, insects are the dominant form of animal life. Close a million species have been described to date — compared with a paltry 5,416 mammals. And depending on who you ask, entomologists suspect there could be two to 30 times as many actually out there. Not only that, but insects are linchpins of the living world, carrying out numerous functions that make life possible. Insects pollinate a spectrum of plants, including many of those that humans rely on for food. They also are key players in other important jobs including breaking dead things down into the building blocks for new life, controlling weeds and providing raw materials for medicines. And they provide sustenance for a spectrum of other animals — in fact, the Puerto Rico study showed a decline in density of insect-eating frogs, birds and lizards that paralleled the insect nosedive. All told, insects provide at least US$57 billion in services to the U.S. economy each year. ‘They’re the unsung heroes of most ecosystems,’ says applied entomologist Helen Spafford, who helped write Entomological Society of America’s 2017 position statement on endangered insect species. 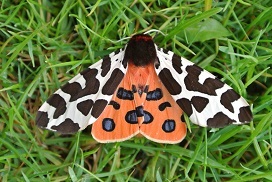 The garden tiger moth is among numerous species that have seen dramatic population declines in the UK in recent years. Photo: Wikimedia Commons. It’s unsettling, then, to imagine that insects might be in trouble. But a spectrum of studies, combined with anecdotal evidence, increasingly suggests that things are, in the words of Harper Adams University entomologist Simon Leather, ‘not how they should be.’ In the 1990s, reports started cropping up around the world of disappearing pollinators. In 2006, researchers reported dramatic declines in counts of moths attracted to light traps in Great Britain. 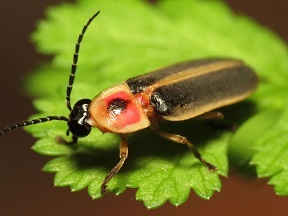 A 2010 international gathering of firefly experts reported unsettling downward trends. In 2017, scientists reported a decline of more than 75 percent in insect biomass across 63 nature areas in Germany between 1989 and 2016. A 2018 census found an ominous drop in monarch butterflies along the California coast. Anecdotal evidence from Australia earlier this year indicates insect declines there as well. Although these results are disturbing, they’re not definitive. In some cases, they could indicate issues facing specific insect species or characteristics of specific locations rather than an overarching trend. It’s entirely possible that some don’t even prove a local problem: The paucity of moths attracted to lights, for example, could be a matter of selective pressures that favour individuals that aren’t attracted to light. Nevertheless, there are plenty of reasons to expect declines. Widespread use of insecticides is one obvious one. Others include habitat loss and degradation; declines in or disappearance of plants or animals that specific insects depend on for food and shelter; displacement by non-native species; air, water and light pollution; the global spread of insect diseases; climate change; and even, says Wagner, nitrification due to fossil-fuel burning. Fireflies are among many kinds of insects that volunteers can help monitor and protect. Photo: Wikimedia Commons. Pedro Cardoso of the Finnish Museum of Natural History and colleagues have pinpointed seven impediments that limit our ability to conserve insects and other invertebrates and suggest a variety of strategies, from improved research protocols to better marketing, to overcome them. First and foremost, many scientists say, we need to get a better handle on what’s currently out there in terms of species and numbers so we have a baseline for measuring change and a notion of what might need protecting. Scientists are calling for developing a better sense of trends in abundance and diversity through studies that are repeated over time at the same location. ‘Insects are both exceptionally diverse and poorly known,’ says Trond Larsen, director of the Rapid Assessment Program at Conservation International. His organization is trying to do its share by working to assess insect biodiversity in tropical areas around the world — discovering hundreds of species of insects not previously known to science — which then influences the organization’s priorities around conservation. Second, scientists are calling for developing a better sense of trends in abundance and diversity through studies that are repeated over time at the same location, resampling in areas where baselines were established decades ago. ‘We have estimates, but there hasn’t been a full assessment or even identification of all the insect species out there,’ Spafford says. ‘If a place has not been well studied over a long period of time, we don’t really have good data to be able to draw conclusions.’ Where declines are documented, the next important step is to figure out why they’re occurring. Because insects reproduce quickly and can be affected dramatically by shifts in environmental conditions, it can be a challenge to tease out long-term trends from temporary fluctuations in local populations. ‘[We need to] identify where it’s happening, the magnitude of change, who exactly is declining and what the causal factors are,’ Wagner says. In fact, he’s planning to shift his own research program to focus more on finding historical data sets and repeating surveys to assess changes over time. 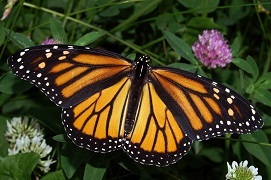 The plight of the monarch butterfly has been widely reported. But researchers emphasize that we need to pay attention to less charismatic insects as well. Photo: Wikimedia Commons.